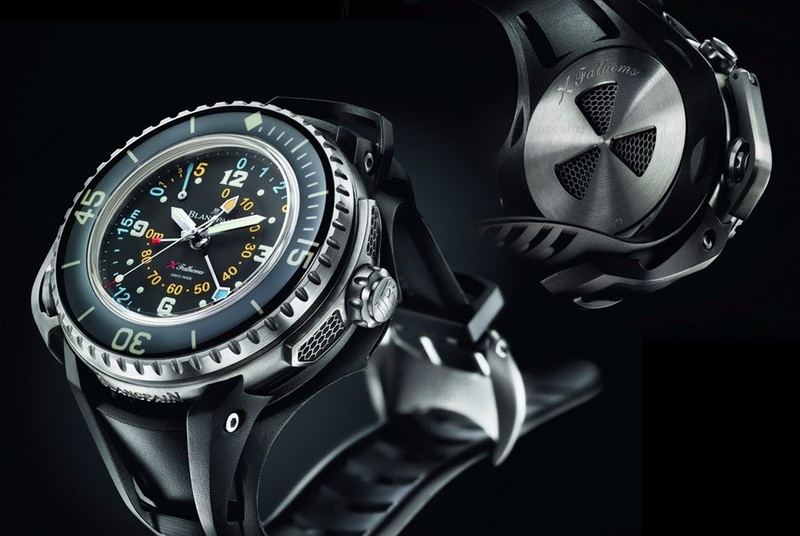 Blancpain X Fathoms. The &quot; Epithoms &quot; of the Fifty Fathoms? 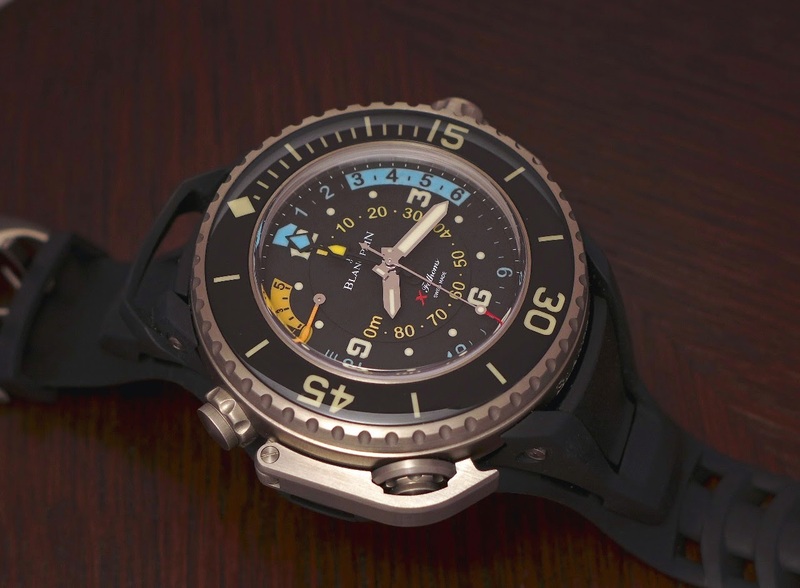 Great job from Blancpain. 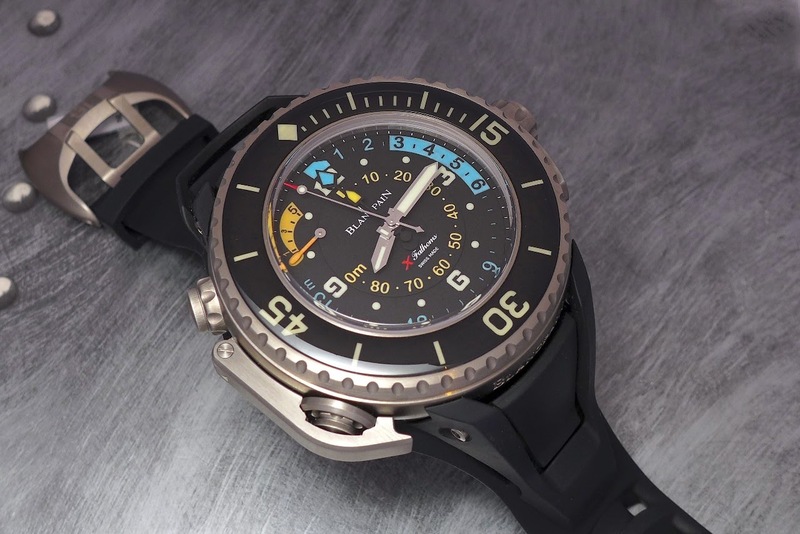 Thanks Nicolas for showing us this interesting watch. Intruiging watch, as it pushes boundaries Inlike it very much for what it is. Yes, I agree with that. It gave me goosebumps when I tried it yesterday! Wow it's big Thank You any wrist pics? I put it on the wrist, but too bad light conditions to take a decent picture. Unwearable, no... But hey, I don't see myself wearing it at the court. Thanks, Henrik. Thanks for commenting, G.M. Indeed, the most technical I know. 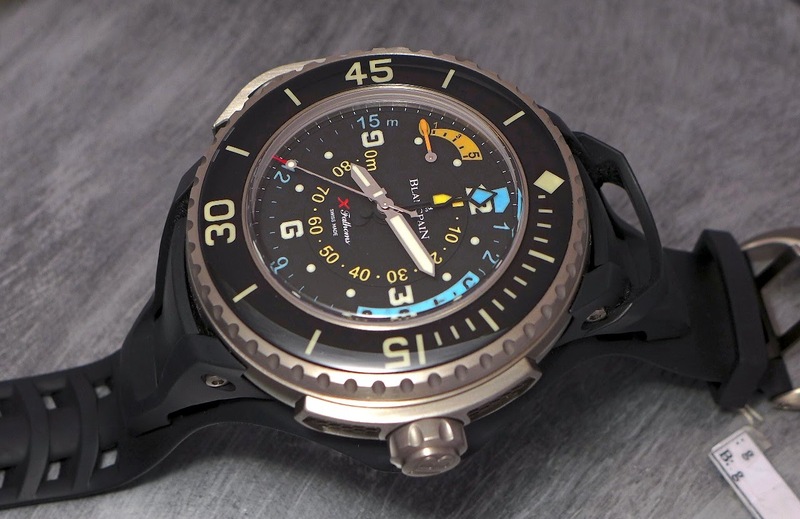 We should try to launch a census of modern and vintage diving watches with mechanical depth gauge. There aren't so many!